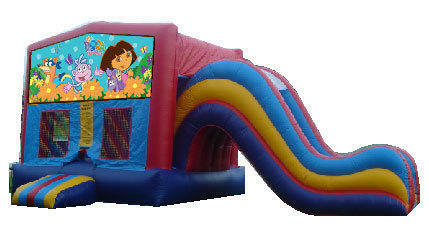 Rent the official Dora the Explorer Combo from A Bouncing Adventure. Accept no imitations. Bounce with Dora, Boots the Monkey, Swiper the Fox, Dora's purple Backpack, and Map.